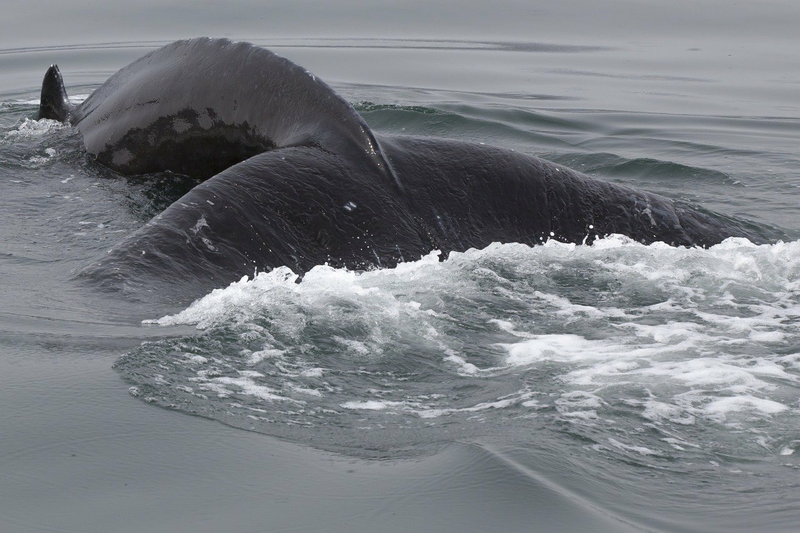 Scandinavian Travel Services offer an exciting tour, which will give you a chance to see whales. Husavík is a lovely town that is located in North Iceland and is well known as the best place in the country to spot these amazing creatures. The duration of the tour is 3 - 3,5 hours and is suitable even for one person. There are two departure options from Husavík: at 13:00 and 20:45. Bear in mind that it may be a bit cold in the sea, so it is important to bring warm clothes with you. You will tour in beautifully restored oak fishing boat and in case you will feel cold at some point, there is always a chance to go below deck and get a warm cup of cocoa! However, knowing how beautiful is the trip, we are sure you will prefer to stay outside, to enjoy breathtaking view on Vinafjöll and Kinnarfjöll mountain ranges and of course whales! The reason why the town is so famous for whale watching is that Husavík overlooks Skjálfandi bay, where migrating whales flock. That’s why you have a great chance to see one of ten different species of whales and dolphins, which were spotted here in recent years! The trip is suitable for children and is a great pleasure for both young and grown ups. Scandinavian Travel Services take safety seriously, that’s why every crew member has completed STCW training. Whale watching in Iceland is really popular among tourists and is considered to be “must see” by many foreigners. The tour will cost 9.950 ISK per person and can be booked from May 1 till September 30. You can learn more on their website.